The Volvo S90 continues to impress as a luxury sedan with a lot of beautiful interior features. At Volvo Cars Charlotte, you have the opportunity to sit inside of the Volvo S90 to see how spacious it is for yourself. 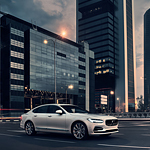 There are a lot of high-quality materials found throughout the Volvo S90. You'll notice interior high-level illumination, dark flame birch wood inlays, and leather accents throughout. You can also make upgrades based on your trim level to enjoy a Crystal Gearshift Knob by Orrefors, illuminated sill molding, and much more. Yes, it's that time again to settle in and choose your next new vehicle. There are plenty of deciding factors to consider to find the vehicle that matches your wants and needs. 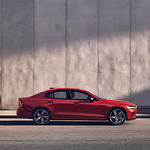 If you decide that a car that is both compact and luxurious will best get you around Charlotte, then you should definitely take a look at the all-new 2019 Volvo S60. Our entire team at Volvo Cars Charlotte was excited this year when the new Volvo XC90 arrived. 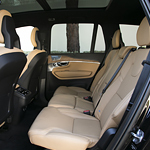 The safety features in this luxury SUV are part of the reason for the explosion in popularity. When the vehicle reaches a certain speed, the Lane-Keeping System begins to scan the road and identify when drifting is occurring. If the Volvo XC90 does drift, the steering wheel begins vibrating until the driver gets the SUV back in between the safety of those line lines. The Volvo XC60 ranks high among drivers of luxury SUVs. The exterior features play a part in the model's popularity. Engineers and designers put tremendous effort into crafting the exterior looks. Consider it hard to miss an XC60 in a showroom. Subtle improvements help a particular vehicle rise above other models on the market. 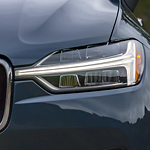 Door handle illumination on the Volvo XC60 reflects subtle standout features. Lighting up door handles makes them easier to see in the dark while adding a decorative trait to the SUV. An adjustable rain sensor further contributes conveniences to the drive. These days, technology and luxury go hand in hand. The new XC40 from Volvo seamlessly integrates the two to provide you with all the comfort and convenience you could ever want. This popular luxury subcompact SUV is available at Volvo Cars Charlotte with two distinct digital systems. If safety is a big priority for you when you're shopping for a new vehicle, take a look at the Volvo V90. This popular luxury wagon comes with standard features that act as a second pair of eyes. We here at Volvo Cars Charlotte are excited to show you how the V90 can change the way you approach road safety. 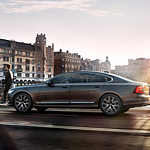 Finding a luxury AWD sports sedan that meets your needs can be overwhelming, but we can help at Volvo Cars Charlotte. We try to keep our consumers up-to-date about our models so that they have an understanding of what each one has to offer. 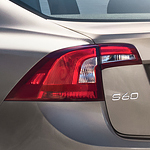 The Volvo S60 R-Design is a trim that offers unique features that enhance performance and styling. Do you want a luxury sedan that offers a number of features that enhance comfort and convenience? If the answer is yes, we suggest the Volvo S90 Momentum. At Volvo Cars Charlotte, our team strives to keep our consumers informed about our models so that they can make an informed decision about the vehicle that they choose to purchase. Let's explore the Volvo S90 Momentum below. The 2018 Volvo XC90 R-Design Trim joins the popular line of compact Volvo SUVs. The exterior design features large wheels, a black glossy top, and sporty accents. 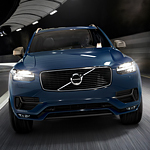 The Volvo XC90 R-Design Trim combines high performance, excellent gas mileage, and low emissions. 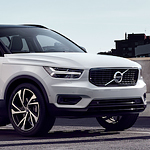 The 2018 Volvo XC40 R-Design trim joins the popular line of Volvo compact SUVs. The stylish model has an excellent combination of power and economy. The 248-horsepower engine and Drive E powertrain provide dynamic acceleration. At the same time, the design offers low emissions and money-saving gas mileage.